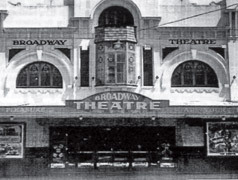 This category contains articles, papers and documentary evidence (including illustrations) in relation to the history of Australian theatres and cinemas that have been destroyed or largely altered for other uses. Both social and physical issues are covered in topics related to buildings, audiences and past exhibition policies. There are currently photo essays on the Mayfair, Victory and Palace theatres, Sydney, and articles on how movies were distributed to cinemas, the de-luxe presentation at picture palaces, fires in theatres, the audiences at cinemas, and the architecture of picture palaces. Material reproduced, or provided in the form of titles with reference data, (where copyright cannot be accessed), may itself be of historical interest, with some items being written or published up to four decades ago and not reproduced in another form until now. Most of the older material is scanned from largely unobtainable sources and the quality of reproduction is dependent upon the quality of the original. Photo essays have been added from scanned illustrations and photographs. Where possible the images will be colour and contrast corrected to give a truer representation of the original condition than the sometimes damaged and faded source material. Sydney's first large scale multi-plex (seven screens plus cafe, bar and multiple candy bars) is now just a memory having been so extensively remodelled over the years no original features are even visible. In this article, the author describes his involvement in advising Hoyts on how to sign-post the interior for patrons to navigate their way to a specific cinema. Also see recent photo essay on the Victory Theatre (later the Rapallo) in Sydney. 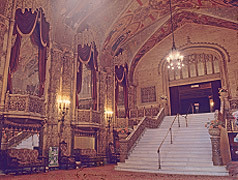 Person-environment conditions that inspired regulatory and other changes to occur in building design from the 19th into the middle 20th centuries: The case of theatre design. Originally published in 'People and Physical Environment Research', Number 57, 2002, pp.39-62. 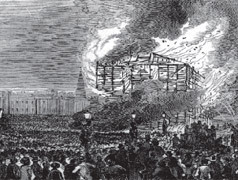 Fires and other catastrophes in theatres, where people were killed, initiated over time a number of official inquiries that resulted in improved regulations for the safety and comfort of patrons. A number of British and Australian examples are provided. This same article is also listed under Human Factors in Design. The case of the decade of the 1950s in New South Wales. Paper presented to the National Railway Heritage Conference, Tamworth, September 2005. Film-hire documents found in a former country cinema were organised into a database for the decade of the 1950s. This paper looks at how many films and film-related material were sent between towns or back to Sydney each year by rail (before the unrelated occurrences of television and the development of road transport). Cinema as “Place”: The case of the picture theatres in a group of towns and villages in the Central West of New South Wales. This article is included for its importance to cinema research, being the first known to use extensive qualitative research, rather than occasional anecdotes, to describe the experience of attending local cinemas before television. It demonstrates the social importance of cinema at the time. The article supplements the one by Kevin Cork and Ross Thorne on cinema admissions. 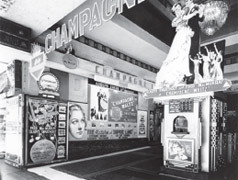 The visual and aural environment as part of the ‘presentation’ used to attract audiences to picture theatres, circa 1910 to 1950. Originally published in People and Physical Environment Research, Number 58-60, 2006, pp. 68-86. 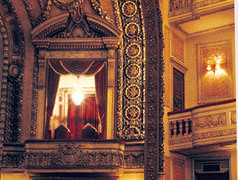 Location, the quality of the design of the theatre buildings, service to the patrons and stage shows often contributed more to the success of a theatre than the quality of the films shown. This paper traces these elements of “presentation” in the USA and Australia. The Environmental Psychology of Theatres and Movie Palaces. Originally published in Environmental Perspectives, Ethnoscapes Vol. 1, Aldershot UK: Avebury. Architects of the movie palaces of the 1920s, in attempting to communicate designs that would be appreciated by the masses, were conscious of the effects of colour and decoration on people’s moods. They described their work in elementary “psychological” terms. Recounting their writings has implications for the meaning of architecture today. From carriage works to athletic club (1902) then Brennan’s National Amphitheatre (1906), and a rebuild as the National in 1919, and revamp in1934, the Mayfair Theatre became a venue for blockbuster films and finally, completed its theatrical existence with ‘live’ plays and small musicals until its sale in 1980. The colour photographs were taken sometime around the mid-1970s. Originally published in Theatre Australia, May & July, 1978. 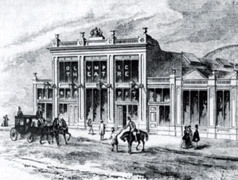 Melbourne’s first theatre was opened in 1841, but the first substantially built venue came in 1845. Ten years later the forerunner of the Princess was built and a most ambitious Theatre Royal in Bourke Street. There was a prefabricated iron theatre imported from England, the Opera House that saw vaudeville, the Bijou and the Kings Theatre that was a melodrama playhouse until its transformation into a cinema. Originally published in Theatre Australia, August & September, 1979. 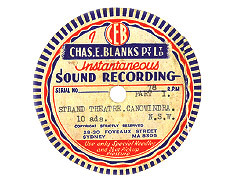 In 1796 Sydney saw its first theatre, used only occasionally. The first “permanent” theatre opened in 1833 on the site of Dymocks book store building (George Street). The article then describes the Royal Victoria (Pitt Street), a multi-named venue in York Street and the Opera House, also in York Street, the Gaiety, Criterion and Her Majesty’s (Pitt Street), Palace, Alhambra, Lyceum, Adelphi and St James – all gone. A map of Sydney shows over 20 theatres that have all disappeared. Palace Theatre (of Varieties) opened in 1896, it being designed in a rather voluptuous eastern style, then popular with vaudeville and variety theatres in Britain and the USA. 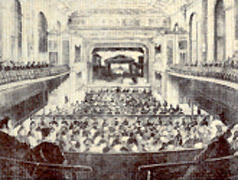 The auditorium was rebuilt in 1923 in a rich classical style – demolished in 1970. It was an intimate theatre, much liked for plays. 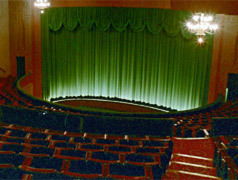 Hoyts Theatres Ltd, in the early 1970, decided to build the largest multi-plex cinema complex in Australia in George Street, Sydney. 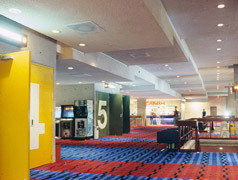 It was to provide a range of facilities from bookshop, pin-ball parlour, to bar. The author describes his involvement through his being a joint consultant with psychologist, Dr. Terry Purcell to advise Hoyts on how to sign-post the seven cinemas for patrons. 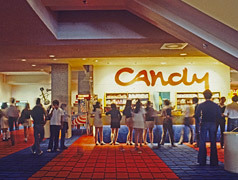 The rather gaudy complex was opened in December 1976, and has been so-altered over the following 36 years that it can be classified as “lost”. The Victory Theatre was a rebuild, in 1939, of the former Empress Theatre that started life as the Colonial No.2 in 1910. 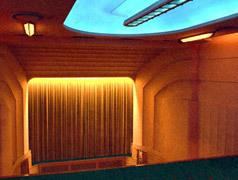 The Victory was one of only three theatres in Sydney with a strong Expressionist interior of indirect lighting; its exterior being Art Deco in style. It was demolished in 1984.